Angelic Guide Orion connects with an uplifting frequency, and an inspiring message in this channeling. As you read you will be guided to tune into a wave of new energy for inner vision, expansion and growth. Simply relax as you read to tune into the guidance and corresponding frequency broadcast through this channeled message. Or click the link below to listen to the .MP3… Right click to download, or command click mac… Press and hold on phones/ tablet. This message with Orion is set to the music of Thaddeus. This message was originally recorded in 2010, but is still highly relevant today. You can also scroll to the bottom of the page to check out the message on YouTube as well! Greetings I am here. I am Orion, and I am honored to connect with you in this now. For you see, there is incredible conscious energy, crystalline light energy which is present on the planet now and which you are able to tune into. To do this, allow yourself to focus inward. Let go of the conscious thoughts of your mind, and drop down deeper in awareness, down from your mind and into your heart. Enter into the powerful energy center of your heart where you are able to open, lift and tune in to the new wave, the new crystalline energy of light that is present on earth now. This energy of crystalline light and love on the planet offers you a respite, offers you the opportunity to relax as your burdens are lifted on this day so you can bravely and boldly and confidently step into the light. I say this metaphorically, and of course you are able to do this now. Imagine that you are surrounded with particles of light and particles of Divine love swirling and flowing all around you. This is not simply your imagination, but it is your imagination that will first allow you to tune in to this truth of the light energy that is present and that exists beyond the veil of illusion for your physical world. And so, open your heart, imagine and tune in to the light all around you. Light that is flowing around and activating your spiritual energy body. Breathe in deeply, as this light now fills your spiritual energy with the golden light of peace, joy, conscious creation and manifestation. This may feel like a tingling all around you or a warmth you are wrapped in. This should feel good, and you may begin to feel lighter, as the energy of divine love flows in and begins filling your spiritual body. In this moment, and in the days ahead you will be given one opportunity after another to raise your vibration. You will be assisted by astrological alignments, life circumstances, physical and spiritual beings, and by your higher self. You are able to raise in frequency to fully align with your higher self, the fullness of the spiritual being that authentically is you. This merge, which takes place within your heart, is your key to ascension, your key to living in an enlightened and love-filled joyous state. The obstacles you have navigated thus far, the incredible release work that you have done, and the challenges you have experienced have led you to this moment now, have led you into this new year. 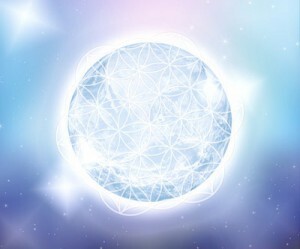 Understand that now, the growth opportunities and energetic portal openings are offering you the ability to expand and, ultimately, to stay in love, to stay in light, and to stay fully connected to your spiritual body. This works by enabling you to remain grounded in love, and in light to share joyful emotions and happiness with others. By responding always with love, and happiness, living life filled with the energy of love, of the Divine, and of your higher self, others whom you come in contact with are automatically attuned to their own light. This is made possible because you have put in the work, you have opened to your light power which now serves you and your world. Open your heart, quiet your mind and simply be present now in the energy of light. Your guides and angels are with you, so know that you are protected. And even further than that, today you have the ability to energetically plant a new seed. Your past limits you not. For in this moment, the magical energies of manifestation flowing through earth want to help you. The universe, God, and your angels want you to have your every desire, your true dreams, the ideas, the visions, the thoughts and dreams that excite you, that motivate you, and that make you feel good. You are energetically supported in this manifestation process. You’ve put in the release work. Continue this by releasing any emotion that does come up for you, which you no longer wish to experience. As you know, you can simply release it into the light, over to your angels, and replace it with unconditional love, peace, joy and compassion. These are the emotions that serve you, that connect you to your highest good and that bring fulfillment, love and happiness into your life. Will you choose to stay in these emotions? This choice brings you into living in the fifth dimension. There will be challenges ahead of you, of course, for you are here on earth not to glide through under the radar but to evolve, to grow, to overcome limitations which have been affecting you for millennia. No longer do you need to be limited, this veil has been lifted. Allow the light of your higher self, of your authentic self, into your being, filling your spiritual body with frequency, with light. This powers your psychic ability. This allows you to experience more joy, to stay grounded in love, and to share your happiness, to share love and light and peace with everyone you know—not by forcing it anyone or sharing your truth in a way that makes anyone uncomfortable, but simply by being, and radiating light. Through shining your light and simply being present you are automatically creating shifts and growth in the lives of others. You see, you are all connected, you are all one, one humanity, one earth. Take care of each other. Take care of your planet. Let this be the goal you flow to in being, living authentically in truth, in love and in balance with each other and with earth. Fear is your biggest obstacle and opponent, but do not buy into it. Know that fear is not real, fear is illusion. And when you release it, when you trust that you are safe, when you trust that the universe is providing for you and does have a]divine plan of goodness for your life, your work and your relationships, you stop the cycle of struggle, and you are able to be authentic, to be loved. And this is what you are, and this is what the energy of today gives to you, the gift of love, the gift of creative joy, the gift of enhanced manifestation. The gift of ascending into a higher vibrational experience of beauty, wellness, and love. And so, focus on your intent. What do you choose in the moment to experience? Release your attachment. Be happy with where you are right now. Open your heart. Connect, tune in, and commune with divine intelligence, with your higher self, with your guides and angels, with angelic love. Be present and through your presence, through this stillness, you find by dropping deeper, dropping down into this still point, which some call “the void,” the place where you connect with spirit. You are in a state of allowing. Ask, intend, release and be. Allow, be still, calm and present yet alert, for you will be nudged at the right time and place to take action. Focused specific action that is directly in alignment with accomplishing what you want, and then return to the stillness and to the love and refocus on what is next. You can create great change within your life, within consciousness and for your earth. Return this beautiful planet to the vibration of peace and love. This cannot be done without you, but with your intention and with your commitment to choose love, to learn your life’s lessons, and to love outrageously, your earth is already transforming away from violence and fear and lack and into abundance and joy and light. Open your heart, connect with your higher self and allow the light streaming to enable you to plant new seeds, to start anew, to know your path, to connect with your inner light, and to be happy, joyful, and loved. Return to these higher vibrations of love. They are present now on earth and always will be. They will help you to navigate the next energy changes. They will help you to achieve your purpose, to learn your lessons. Love is your ally, let it flow into your life through you, and then you share that love with others. I am Orion. You are so deeply loved. You are a spiritual being of light. And today, tune in to this, be this. Be this spiritual being that you are, authentic and filled with love. Turn away from your fears and doubts and open your heart. The inner growth, expansion, and spiritual light that you can connect with today will fuel you, will energize you, and will prepare you for what is to come. Listen to this angel message with Orion on YouTube here! Feathers are common signs from the angels! It’s always good to rule out common sense things too though, like do you have feather pillows or a down comforter? Thank you so much for help me dear Ask-Angels Im very sad to loose you and I hope to find you .I use just a pre paid card and i knew i had just 2.000 on it, It was just for put infoson my address . Sending lots of love and light.. Stay strong with your son and for yourself. Thank you Ask-Angels .com for the beautiful est so important message from Angel Orion! I needed it and now Im so well and calm. I Really believe that which you are saying, but how do you convince a person who teeters between our reality and that of total fear? How do you explain this to your grown child, who has been diagnosed with paranoid schizophrenia? In the cases of mental illness, there is often a great deal of help available from the angelic realm. I would look into energy clearing, and also holding the intention of him healed, balanced and centered. Of course professional help is encouraged and recommended in these cases. Sending you and your family immense love and blessings.